According to a data issued by the government, 2,572 swine flu cases have been reported across the country with Rajasthan recording 1,508 cases and 56 deaths this year till Thursday. NEW DELHI: Over 2,500 people tested positive and at least 77 deaths were reported due to swine flu across the country this year till Thursday, with Rajasthan accounting for nearly 60 per cent of the cases. It is followed by Gujarat with 438 cases and eight deaths and Delhi reporting the third highest number with 387 people being infected with the virus. No death has been reported due to the flu in the national capital so far. Haryana reported 272 cases till Thursday. With the numbers rising, the health ministry recently held a meeting with the states and asked them to strengthen their surveillance for early case detection along with reserving beds in hospital to deal with acute cases. "On the operational side, we have asked the states to reserve some beds in hospitals as in acute cases patients have to be put on ventilator. They have also been asked to issue advisories for people to take precautions. 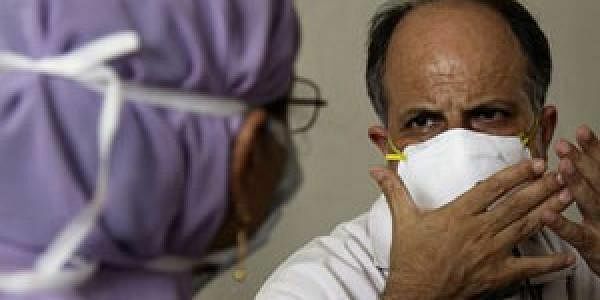 Also, there is sufficient stock of swine flu drug Oseltamivir and also there is no scarcity of N95 masks," a senior health ministry official said. Meanwhile, the Delhi government has issued an advisory mentioning Dos and Don'ts for the people. The advisory states that seasonal influenza (H1N1) is a self-limiting viral, air borne disease spread from person-to-person, through large droplets generated by the act of coughing and sneezing, indirect contact by touching a contaminated object or surface (fomite transmission like telephone, cell phones, computers, door handles, door bells, pens, toys etc) and close contact, including hand shaking, hugging and kissing. The Do's and Don'ts mention covering nose and mouth with disposable tissue or handkerchief while coughing or sneezing, washing hands with soap and water frequently, avoiding crowding places, maintaining isolation, drinking plenty of liquid and consulting doctor. As per the advisory, one should not touch eyes, nose or mouth with unwashed hands or hug, kiss and shake hands while greeting, or spit in public places, dispose of used napkin or tissue paper in open areas, smoke in public places. Last year, the country reported 14,992 cases and 1,103 deaths due to the flu.